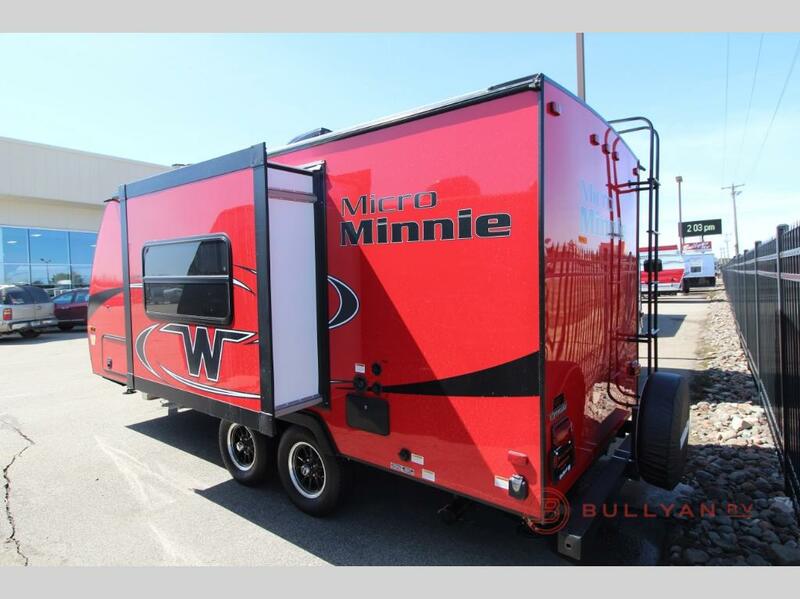 Say hello to the Micro Minnie Travel Trailer by Winnebago Industries Towables! This teardrop style camper is a lightweight answer to camping comfort and freedom. Here, we’ll take a look at this incredibly eye-catching and well built travel trailer. With an easy to tow weight, 7′ wide body and aerodynamic styling, the Micro Minnie for Sale at Bullyan RV is ideal for campers using a smaller SUV or crossover for a tow vehicle. All models range in weight between 3000 and 3700 pounds unloaded, making them a very fuel efficient camping option. The super cool Winnebago Micro Minnie definitely turns heads when cruising down the road. Choose from a variety of exterior colors from cherry red, electric blue or lemon yellow, depending on your personal style. But, the Micro Minnie is more than just a pretty face. These ultra stylish trailers are constructed using a six sided aluminum super structure, heated, enclosed tanks and high gloss laminated sidewalls. Setting up camp is a breeze with the Winnebago Micro Minnie’s power tongue jack, electric awning and magnetic door catches. For easy weekend getaways, the Micro Minnie is a great choice! Choose from a number of floorplans including models with bunk beds, a murphy bed, or slideout room. 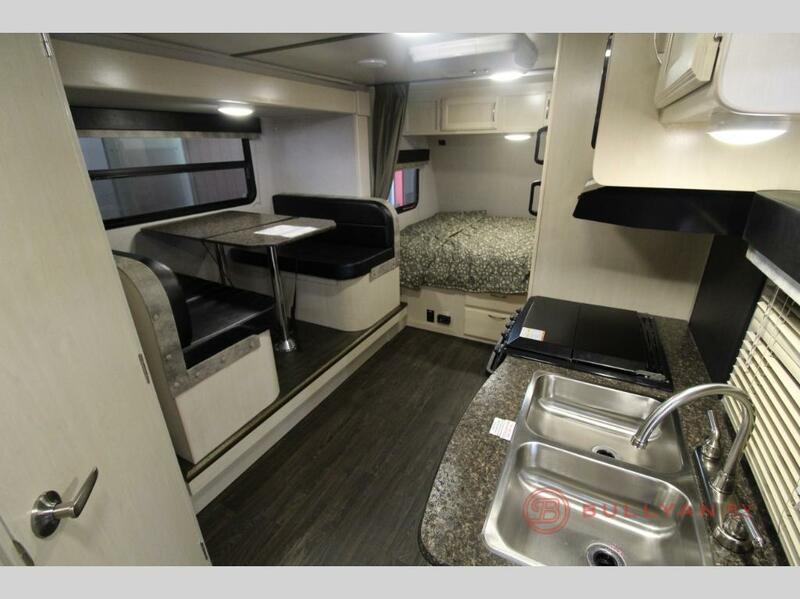 Check out the unique Micro Minnie 2108DS with its space saving design, plush sofa, wide open living space and large rear bathroom. The galley kitchen is fully equipped with everything you need to prepare your favorite campground meals. 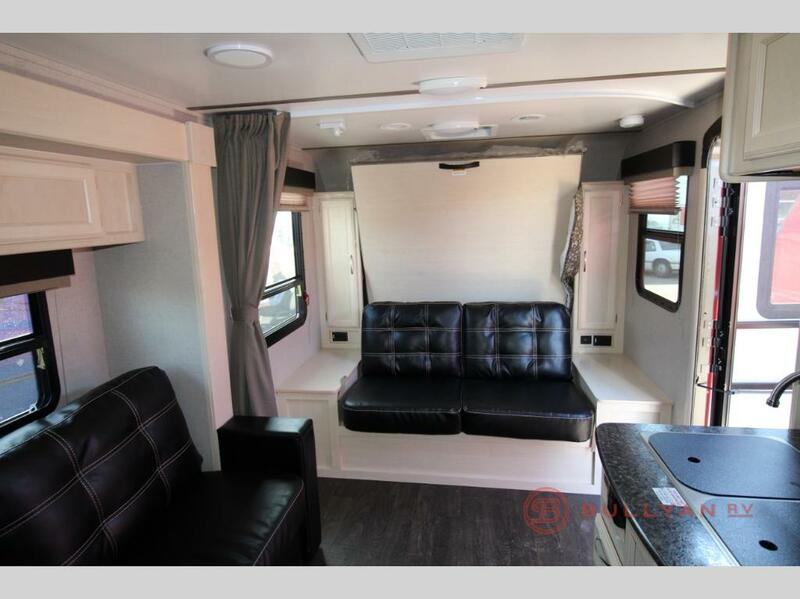 You will find quality components all throughout the Micro Minnie’s interior including full extension drawers, a roof mounted 13.5K A/C unit (with 15k upgrade option) and residential night shades. Planning on taking your camper off the beaten trail? 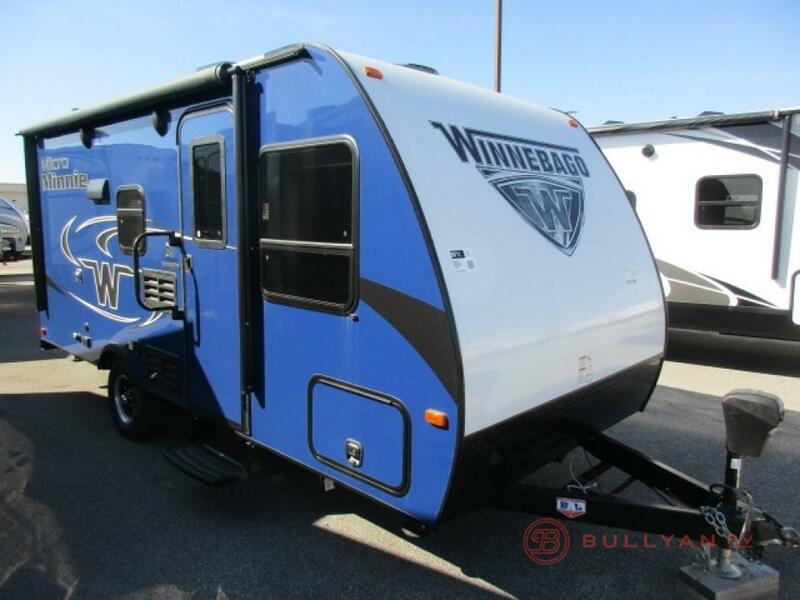 The Winnebago Micro Minnie is available in a 15″ off road tire/axle lift option. Take your camping adventure to the next level! For quality, affordable and lightweight RV camping fun, the Winnebago Micro Minnie really stands out from the crowd. 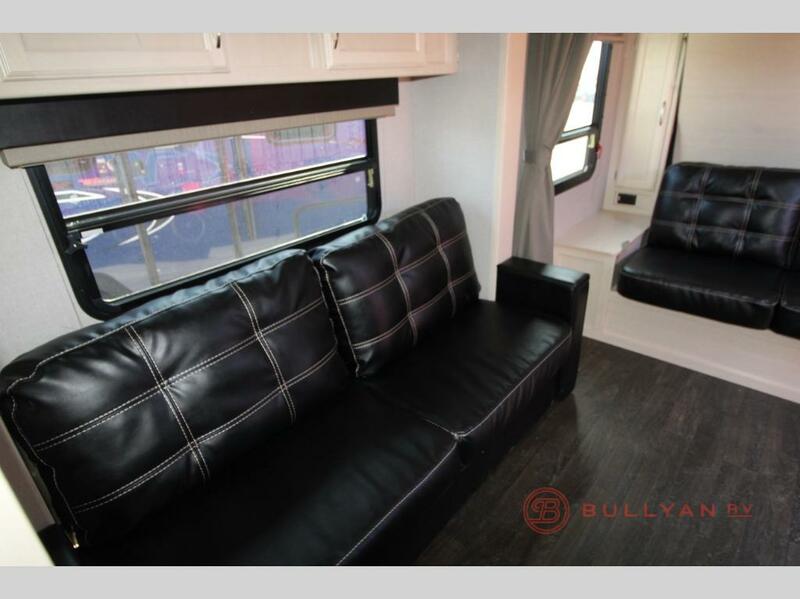 Contact Us at Bullyan RV for a tour today and pick out your favorite color before it’s gone!